Clay masks are great for the skin! 1. 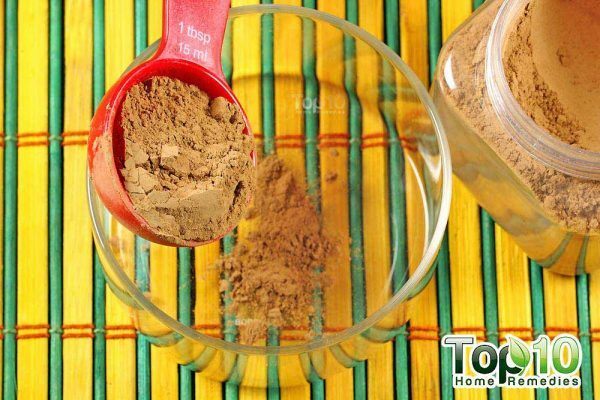 Put 1 tablespoon of bentonite clay into the mixing bowl. 2. 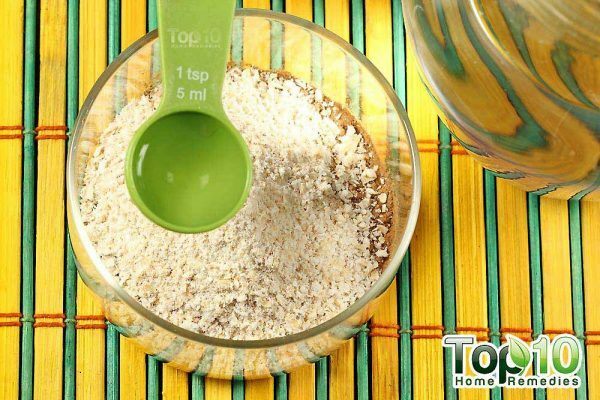 Add 1 tablespoon of ground oatmeal. 3. Add a few teaspoons of water. 4. 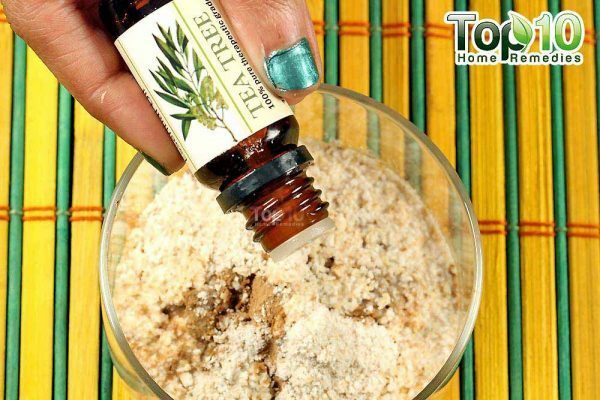 Add 2 to 4 drops of tea tree essential oil. 5. 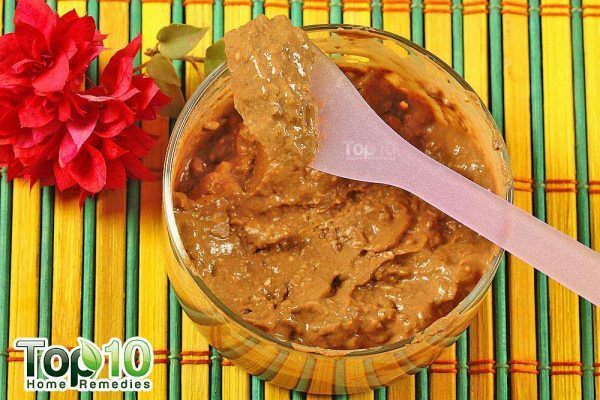 Mix well and add more water, if required, until you get a smooth paste. 1. 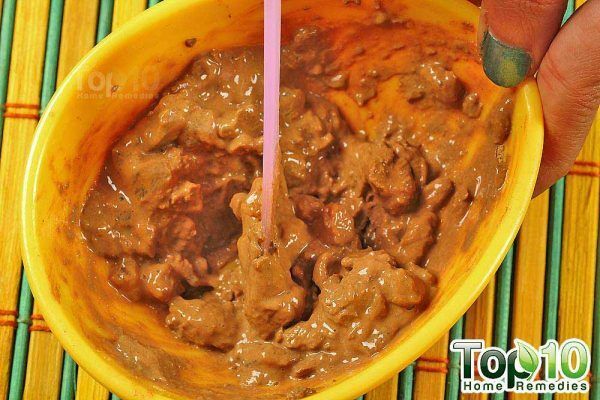 Put 2 tablespoons of bentonite clay into the mixing bowl. 2. Add a few tablespoons of freshly brewed green tea. 3. 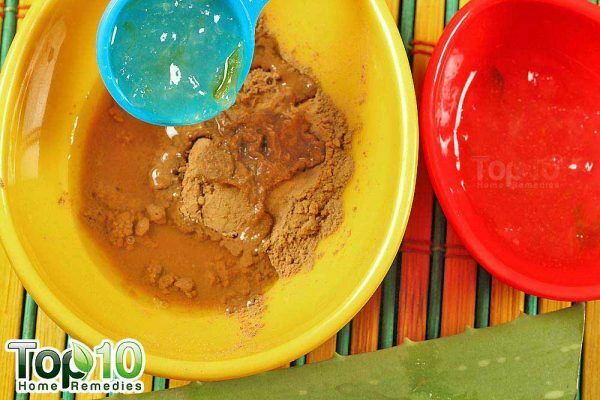 Add ½ tablespoon of aloe vera gel. 4. 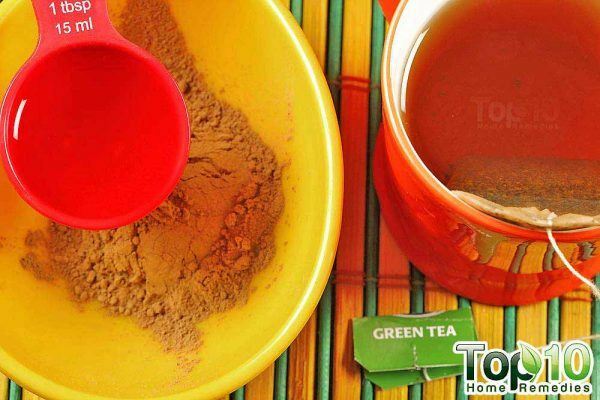 Mix it thoroughly and add more green tea (little by little), if required, to get a smooth paste. Bentonite clay is an incredible ingredient for skincare purposes and is popularly used in beauty masks. 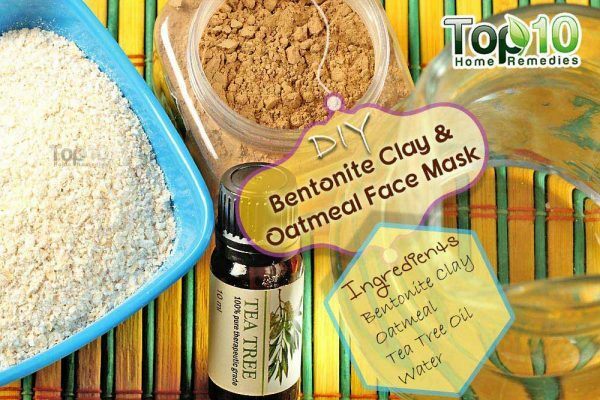 Here are 2 homemade bentonite clay face masks recipes you must try if you have an acne prone skin. 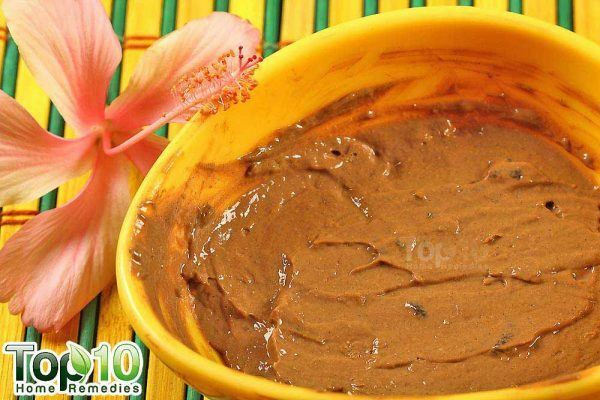 Your anti-acne bentonite clay and oatmeal mask is now ready for use. 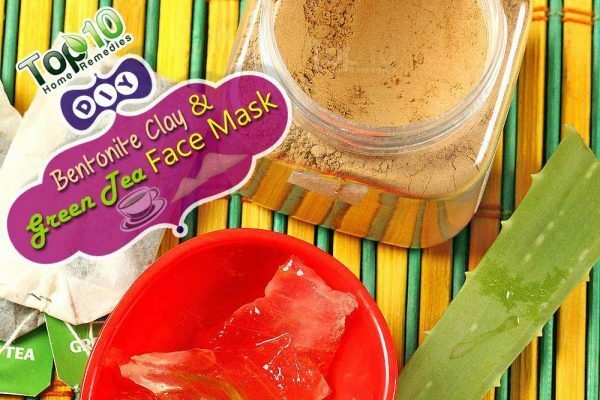 Your DIY homemade bentonite clay and green tea face mask is now ready for use. Gray-or cream-colored bentonite clay is preferred. 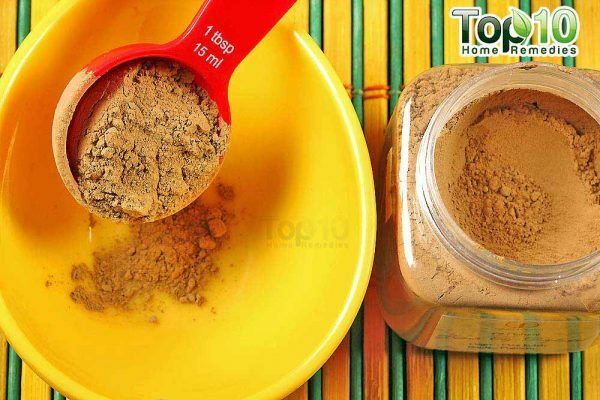 The clay in the pictures above is brown due to its high iron content. When preparing a bentonite clay beauty mask, use nonmetal utensils as metal can contaminate the clay and make the mask less effective. 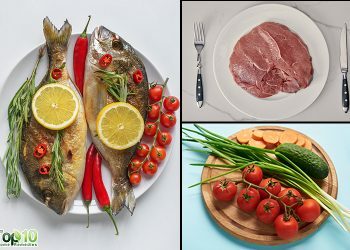 You may use plastic, glass, wood, or ceramic utensils instead. 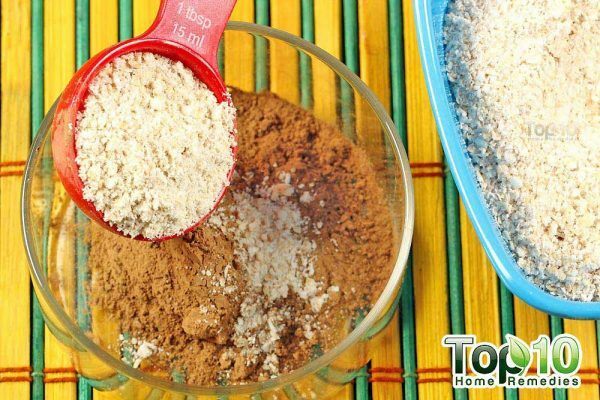 Grind instant oatmeal for your DIY bentonite and oatmeal mask in a blender, food processor, or a coffee grinder. To prepare green tea for the DIY bentonite clay and green tea face mask, steep a green tea bag in a cup of hot water for 5 minutes. Another easy way to prepare a bentonite clay mask is by simply mixing sufficient water with 1 tablespoon of bentonite clay. You can also add rose water to it for added benefits. Due to their highly effective purifying properties, these masks can be too strong for dry skin. No matter what your skin type is, do not forget to moisturize after using these clay masks in order to keep your skin fresh and healthy. Valenti DM, Silva J, Teodoro WR, Velosa AP, Mello SB. 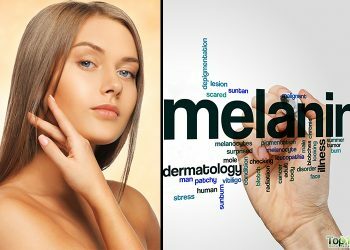 Effect of topical clay application on the synthesis of collagen in skin: an experimental study. Clinical and Experimental Dermatology. https://www.ncbi.nlm.nih.gov/pubmed/22340693. Published March 2012. 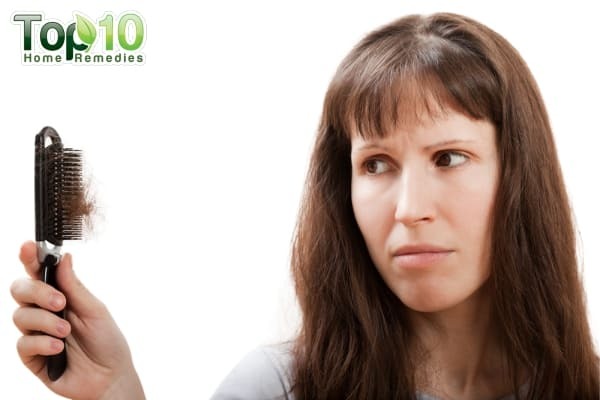 MOOSAVI M. Bentonite Clay as a Natural Remedy: A Brief Review. Iranian Journal of Public Health. 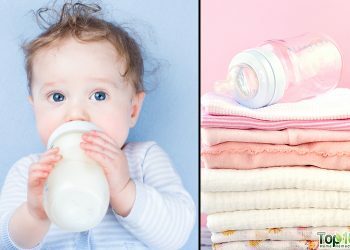 http://ijph.tums.ac.ir/index.php/ijph/article/view/10989. Published September 2017. Meier L, Stange R, Michalsen A, Uehleke B. Clay jojoba oil facial mask for lesioned skin and mild acne–results of a prospective, observational pilot study. Forsch Komplementarmedizin. https://www.ncbi.nlm.nih.gov/pubmed/22585103. Published 2012. Saric S, Notay M, Sivamani RK. Green Tea and Other Tea Polyphenols: Effects on Sebum Production and Acne Vulgaris. Antioxidants. https://www.ncbi.nlm.nih.gov/pubmed/28036057. Published December 29, 2016. Feily A, Namazi MR. Aloe vera in dermatology: a brief review. Current neurology and neuroscience reports. https://www.ncbi.nlm.nih.gov/pubmed/19218914. Published February 2009.
where can i find bentonite clay ? 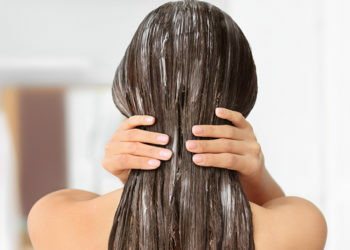 Where can i find bentonite clay and tea tree oil? Thank You so much for your help.You really put my heart at ease with the fastest way to get rid of all these pimples on my face.This year 2015 is worser than I thought.